The first solution came to mind is setting up a second database in a data guard configuration. Adding a physical standby, moving the database to there, thus allowing the application to continue working sounded like a perfect solution. Since the database is quite big – setting up the data guard would require another 3TB of storage (in addition to the 3TB it already taken and the new 3TB we were to move the data files to) so this became a bit of an issue. Another thing with this solution was the need for a second server with sufficient resources (CPU and RAM); we also needed the application to know how to connect to the temporary server. Another idea regarding data guard was to setup a second database on the same server as the first one and switching over to it when we are done. This would of course mean to change the database name but that not a big deal in most cases. We started talking to the customer about the data guard setup processes and the parameters needs to be changes and the customer asked us to think of other solution with some downtime but with less interaction and configuration changes. I tried to think about the problem and cut it into smaller pieces. What we wanted to do is move the files to another disk and then remount the new disk as the old disk. In order to do that we need to duplicate the data files. We can’t stop the database in order to copy the files and copying the file might take a long time (around 20 hours) in which the application generates more data. Suddenly I came to the realization that solution was staring me in the face while doing the data guard testing – I could take an image copy full backup to the new location and then just switch the mount points while the database is down. When adding to the equation the fact that I need to apply the changes gathered when the database was copying I decided that the best solution is to use the Merge Incremental Backup. Merge incremental backup is one of the best solutions for backing up VLDB (very large databases) and having them restored very fast (without using external or storage based backups/snapshots). The idea is simple: keep a second set of your DATAFILES at hand at all times ready to be used by your instance. Every day (or hour or whatever time window you decide), take an incremental backup of the changes happened on that time slice and apply them to the second set of datafiles. When there is a problem with the first set, just redirect the instance to work with the second set, recover the changes done since the last apply and open it for users’ use. This is very simple to set up once you understand the basic logic and the recovery is even easier than simple restore-recover. In my case, I wanted to keep the original directory structure and the same database file name but build it in another mount point. I mounted the new disk and built the directory structure. The next step was to copy the data files to the new location. In the original implementation of the solution, we don’t really control the first image copy set – it is done by the BACKUP INCREMENTAL LEVEL 1 command in our script so I had to build the set myself. In this command we allocate 4 channels to copy the files (this only work on enterprise edition – one of the databases I needed to move was standard edition so it didn’t work) and create a level 0 incremental backup as copy images of the files. I also used the DB_FILE_NAME_CONVERT to copy the data from /oranfs to /oranfs_new mount point with the original file names. It was easy to do because all of the files were at the same location but if they weren’t – that would have been an easy task to change. The last thing was to setup a tag to the backup since I knew I will want to use it later. The name of the tag was “incr_update”. The second stage was done after finishing the initial online copy. In this stage I need to capture the changes done since the beginning of the copy and merge them into the image copy itself. First we open the 4 channels for better performance. Then we take an incremental backup (level 1) for recover of copy with the tag we decided in the initial backup. This will take an incremental backup based on the image copies themselves. After finishing the backup, we recover the copy using the same incremental backup we just took. We delete the archive logs and the obsolete backup (since we just applied it). Backup the control file (which we need for full recovery – not really our plan here). We can run this part as many times as we’d like – keeping our files closer to the real files until we decide to switch them. The problem is that this stage might be very long since this is a very big database. In order to make the incremental go faster, we decided to enable the block change tracking. This will create a new file outside the database that will mark which blocks were changed since the last backup. This makes the incremental backup much much quicker (couple of minutes instead of hours). The next step was to take the database to its minimal required downtime. In this stage, we stopped the database, dismount the mount point, switched the mount definition and remount them back. Since our control files are in a different location and so as our redo logs – our datafiles had just been switched. We are all ready to go, right? Wrong. The datafiles still need to be recovered since the control file has a higher SCN number than our image copy files but this is easy since we have the archive logs and original redo logs. Once the recovery is over, we can open and we are done. This solution only copied data files (including UNDO). Missing temp files will be created automatically. Make sure all the control files are at their location before starting the database. Copy them if they are missing. If the redo logs reside with the data files, we will need to copy them to the new location. They still contain data we need in order to recover to the last SCN in the control file. Do not open resetlog the database unless you are willing to lose some data. With this solution, we were able to move the 3TB database with a minimal under-2-minute downtime (most of it because of shutdown taking so long). This procedure was tested on 11.2.0.3 and 11.2.0.4 Enterprise edition databases (with parallel backup). We also ran it on 11.1.0.7 SE (with parallel) and 11.2.0.3 SE (without parallel). The BCT feature only works on Enterprise Edition. I guess there are some other solution out there for doing the same thing – I’d love to hear about them in the comments! Great post! The process is explained very well. Merge incremental backup is definitely one of my favorite features for backing up VLDBs. However, ASM based storage would have been much more useful in this case, since you can migrate data to new disks without downtime at all. I wonder why this customer chose NFS mount instead..
what about using ASM? you can add new disks to ASM diskgroup and then drop old ones with no downtime? 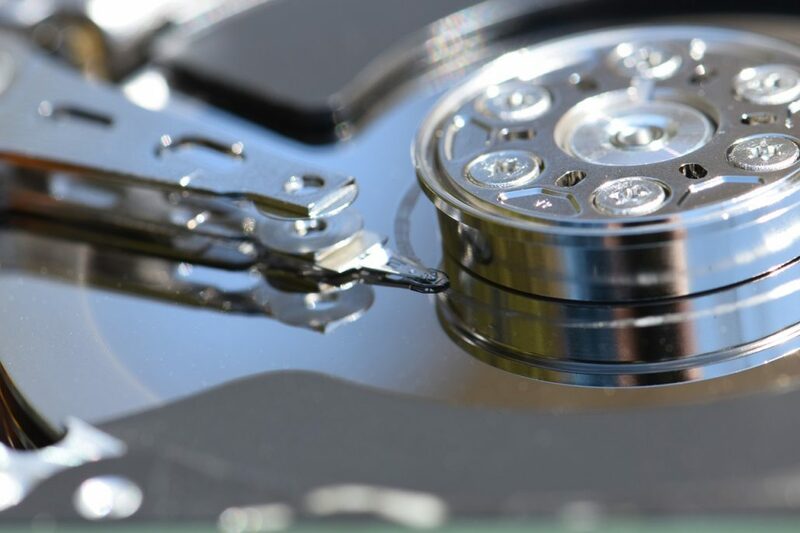 If you want to move data files between disk groups, you can’t do it with this exact solution: you’ll need to tweak it a bit. I will try to make a follow-up post on that, if you’d like. 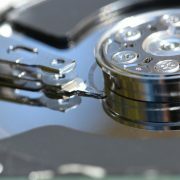 If you want to move the files between physical disks (move the disk group to another storage machine for example), it’s possible without any downtime to the application as a built in feature of ASM. To do that, you just add new disks to that disk group, rebalance the disks and remove the old devices (it will rebalance the data to the new disks, leaving the old ones empty). The only thing you need to look for is the ASM rebalance power since it might be a little stressful on the server itself. We did that solution for a customer when he wanted to move from EMC storage device to NetAPP (or vica versa) so this work very nicely. Don’t you need double space copying with Merge Incremental Backup? You’re right – we do need double space but in this case, we needed to move the database to a new set of disks (new mount point) so we had the double space.